About — Oliver Sparks, Maker. Hello, My name is Oliver and I am a full time Planemaker. 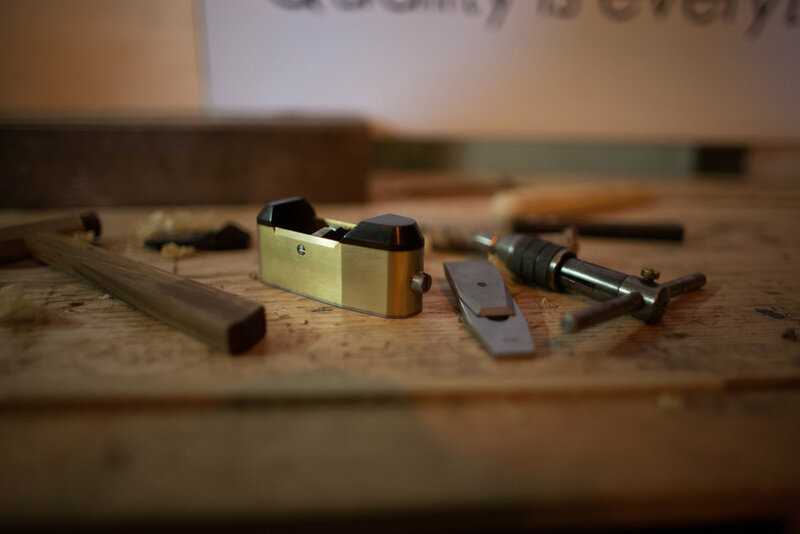 Together with my partner Molly we run OSM, a company dedicated to offering carefully designed, exceptionally crafted tools for the discerning user and collector. Every aspect of our work is carried out in-house. We specialise in the unusual, from design to completion. Casting, heat treating, precision engineering…. it all happens under one roof in the English countryside. Working this way gives us unrivalled flexibility to produce complex bespoke work to any given brief.